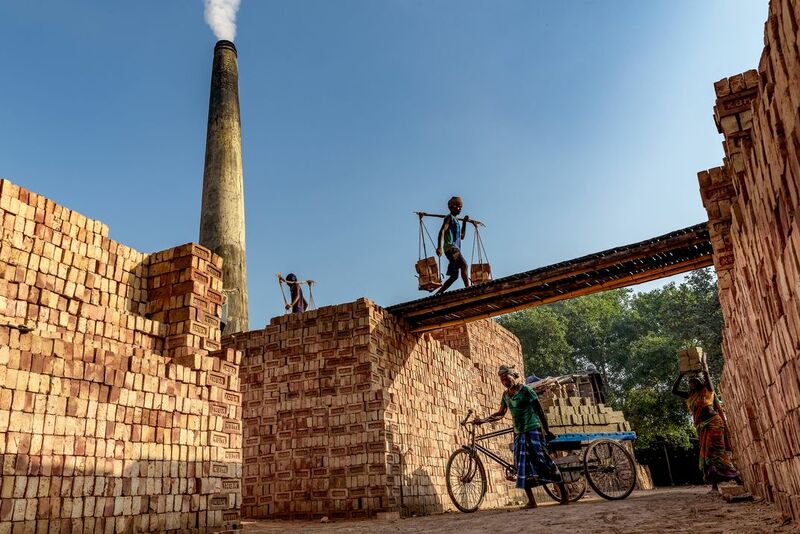 The frame is describing the workers daily life in a brick factory. In the frame below workers are carrying raw bricks in to the furnace for tempering and in the upper frame thermally processed & finished bricks are coming out from furnace through the workers. The nice division of inflow and outflow attracted me to take the snap. Date Uploaded: Oct. 30, 2017, 4:28 p.m.